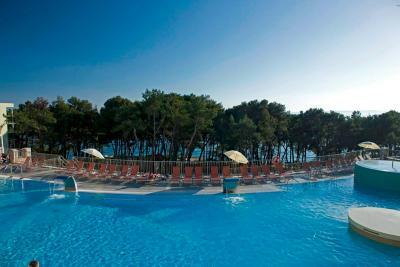 Lock in a great price for Family Hotel Vespera – rated 8.8 by recent guests! 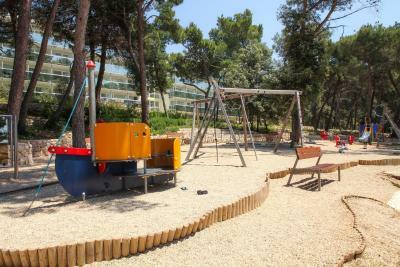 Kids loved animation program, location in pine forest great air, clean beach and sea. Lots of food options you won't be hungry. Nice new sunbeds on veli žal beach and free for hotel guests. 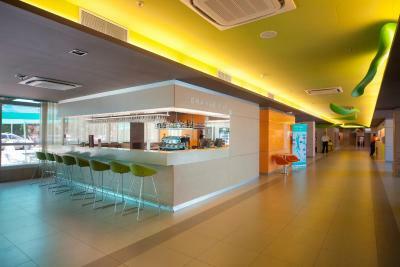 The food was very good, more than we expected from a hotel in Croatia, HB. The sunbeds on the beach were free, what a pleasant surprise, and also the hotel provided beach towels, as well. Free water and drinks during dinner. The beach is fabulous. Crystal clear water, lots of shadows. 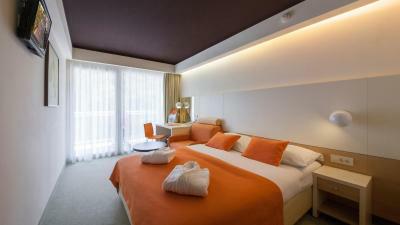 The hotel seems recently renovated providing good comfort. 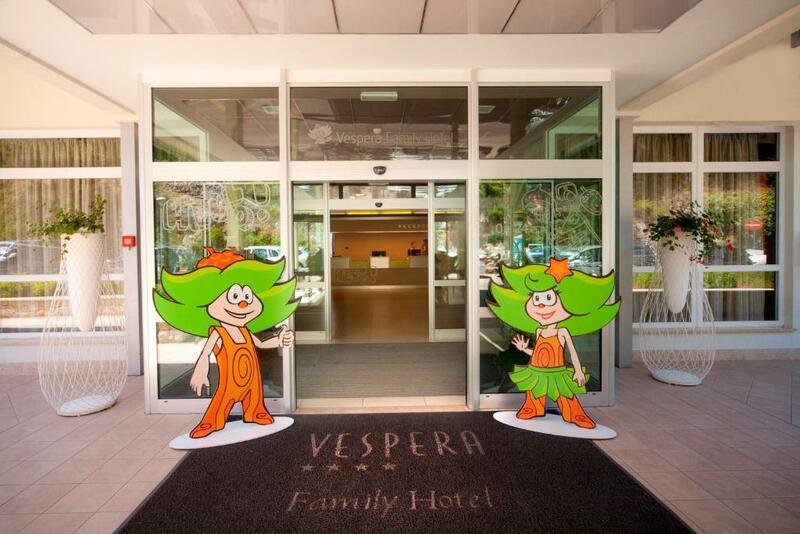 We are really happy that we choose Family hotel Vespera- it is a great place to stay with children. Everything here was great- location, food, staff, the air, see view from the room... Thank You!!! The location is great with amazing views. Hotel room was average but clean. The food was very good, and restaurant and bar staff friendly and polite. Beach very clean and taken care of. Family friendly hotel, great staff, food was amazing! Planty of fun for kids, secured lunch. 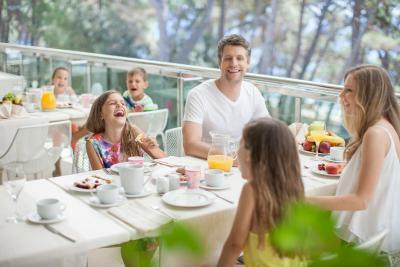 This is a family friendly place with fantastic breakfast and dinner buffet. It's right in the beach and in a pine tree grove, so beautiful! 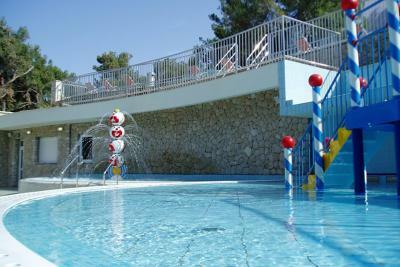 location is perfect, hotel & staff are great, if you travel with small kids, this is the place for you. 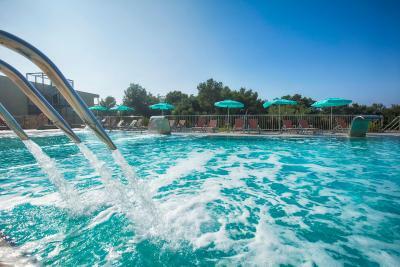 Family Hotel Vespera This rating is a reflection of how the property compares to the industry standard when it comes to price, facilities and services available. It's based on a self-evaluation by the property. Use this rating to help choose your stay! 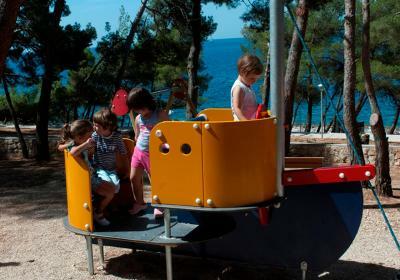 One of our top picks in Mali Lošinj.Completely renovated in 2009, the family-friendly Hotel Vespera is surrounded by pine trees, 150 feet from the sea in the Sunny Bay, and 1.2 mi from the center of Mali Lošinj. 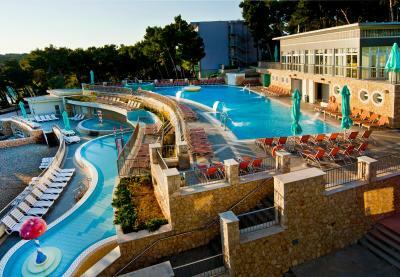 It features a swimming pool complex with hydro-massages and waterfalls, as well as 2 children's pools, all with a sea view. The hotel restaurant serves buffet breakfasts, as well as dinners with a half board plan. 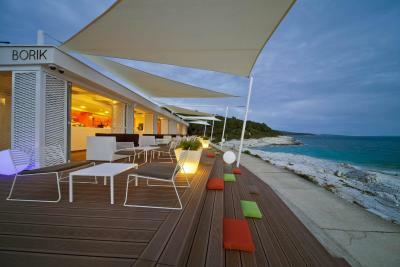 The restaurants Veli žal, Borik and Lanterna are located near the hotel by the sea and offer refined à-la-carte cuisine. Themed culinary evenings and cooking shows are organized as well. There is also a separate corner for parents where they can prepare food for their babies. 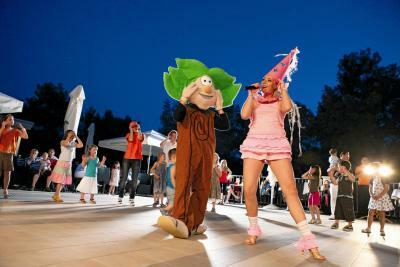 Evening entertainment offers cabaret programs, comedy nights, music quizzes and many other events. 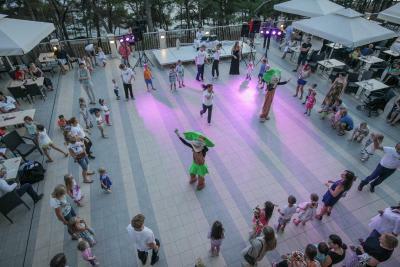 Professional entertainment teams provide educational and entertainment programs (Baby, Mini and Teen Club) which include complementary snacks and soft drinks. The young ones can have fun in well-equipped playrooms with toys and mattresses for the youngest, and there are also a video games, table football and darts. 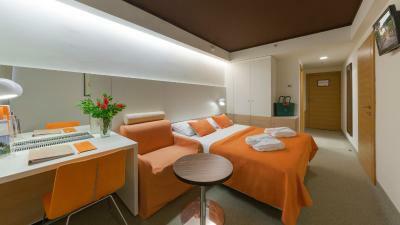 Specially designed and equipped rooms fit the needs of small children and their parents. 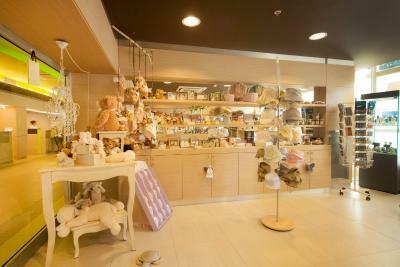 Baby prams, bottle heaters, bathtubs and other baby equipment is available upon request. Full day care (Baby and Mini Club) are organized during summer seasons every day except Saturdays. 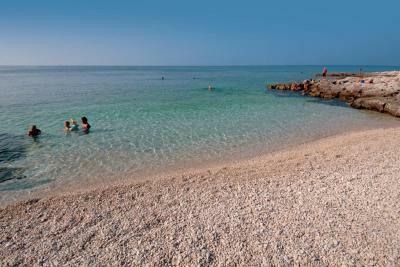 The beach in front of the hotel is rocky and equipped with showers, lifeguards and changing cabins, boat rental, rental deckchairs and parasols. 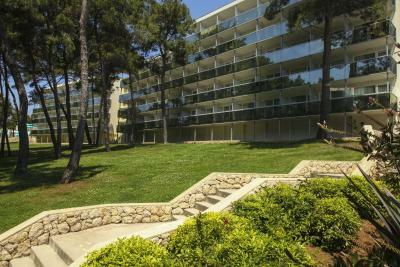 Lošinj Airport is 9.3 mi away from Family Hotel Vespera. Airport shuttle service can be arranged at an extra charge, but it has to be requested 3 days in advance. 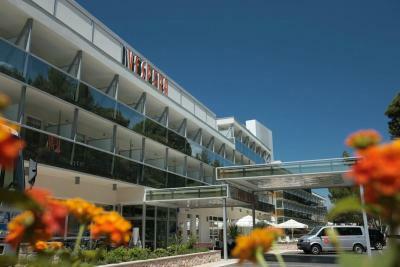 When would you like to stay at Family Hotel Vespera? Twin room with two single beds which can be joined together. All rooms come with a balcony. The rate is based on 2 adults and a maximum of 2 children up to 12 years of age. The unit consists of 2 interconnected rooms. 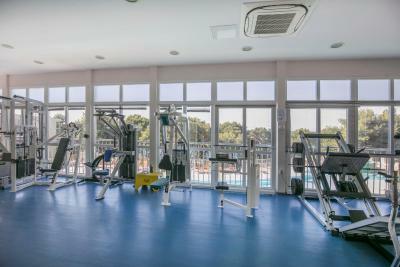 This unit can also accommodate a 5th person, up to 12 years old, but only upon previous request. This family room features a balcony, mini-bar and air conditioning. 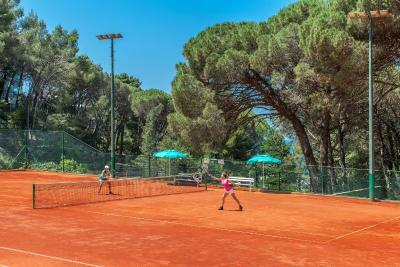 Set on the beautiful Sunny Bay and offering a host of exciting sporting facilities and children’s activities, the Hotel Vespera is ready and waiting for your next family adventure. With an amazing Aqua Fun Pool cascading down three levels; baby, mini and teen entertainment clubs; indoor and outdoor play areas; tennis courts and more – there’s guaranteed fun for everyone. House Rules Family Hotel Vespera takes special requests – add in the next step! 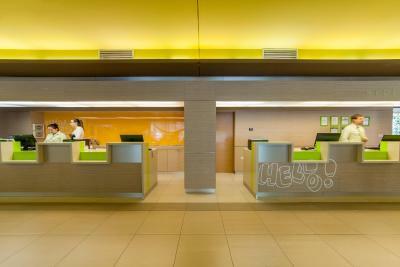 Family Hotel Vespera accepts these cards and reserves the right to temporarily hold an amount prior to arrival. Please note that the rates on this website are quoted in EUR but that guests are charged in HRK upon check out. Rates are based on the daily exchange rate. just a little bit more smiles from staff. 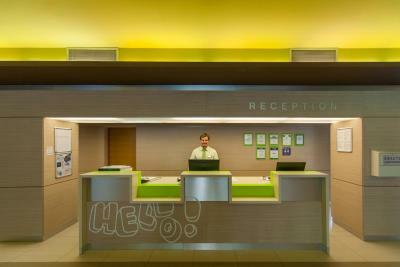 Great location, good breakfast and dinner with many choices, comfortable room, attentive cleaning staff. Accessibility for prams is poor. To get to the beach you have to go around, no access to baby pool, and lifts are very small, we had to fold ours a little to push them in. As in previous years, the animation team leaves an unprofessional impression that children luckily did not notice . 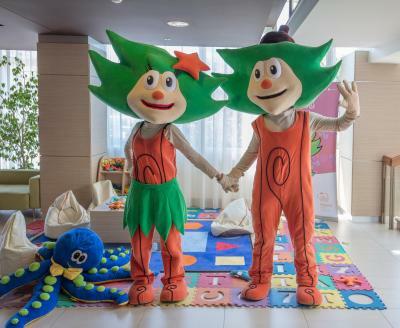 The concept of the evening animation program for children is well designed and hotel mascots are a real hit; kids are crazy about them. Also some animators are very kind to the children and are doing their job with the heart, BUT: some of them look like they hate that they are there. The animation team leader is always tense and not "child friendly" person. The culmination of unprofessionality was the prize game in which the same boy was always won by cheating -shame on you an animator and parents of that child for making fools of other children !! Also free days of the animation team are unacceptable, they should be better organized so that children each day have an adequate program. I didn't like the lousy disco at night and sometimes the food. Disco was too loud and too late. They should start more early. About the food, they should have maybe more healthy (bio and eco) food at dinner and breakfast. I liked behaviour of the staff, especially from cleaning lady. She made our stay more comfortable. Location is good, with lots of trees at the beach so you dont get sun burnt. The beach is right in front of the hotel. Good thing is also the walking path around the island with nice view. Not enough beach umbrellas - possibly the hotel could prevent non-guests taking the sunbeds .. The furniture on the balconies was very noisy if any of our neighbourhoods haled it on the floor. It was a great family time at Hotel Vespera. Only the restaurant is a bit crowded, but we could find out the best time to eat. Everything was perfect. Staff was very friendly, and food was great. The good food, the room was clean, but we gave ourselves a room that felt the motors of the kitchen from 6:00 a.m., and despite going to request a change of room, the reception staff in an antipathetic way told us they were All occupied and could not do anything. We asked for directions but we did not attend any day. We filed a complaint in writing. We stayed here for second year in a row and must say that hotel and location is perfect for children and families. Lack of umbrellas and deck chairs for all guests. Very narrow balcony for eating outside. Eating inside is a noisy and smoky experience (they cook pancakes, fish or meat during meals). Good hotel for families with pre-school kids. Enjoyable both for parents and children. Kind and engaging baby / mini club staff. 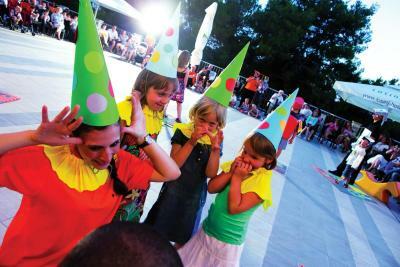 Kids love mini disco and shows. 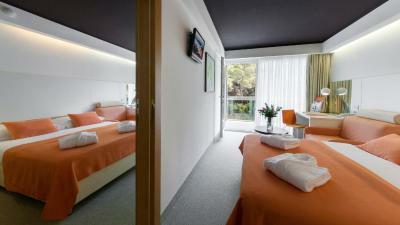 Comfortable and well arranged rooms (although not large). Good and plentiful food.